The methods we have on offer here are tested Ayurveda strategies. 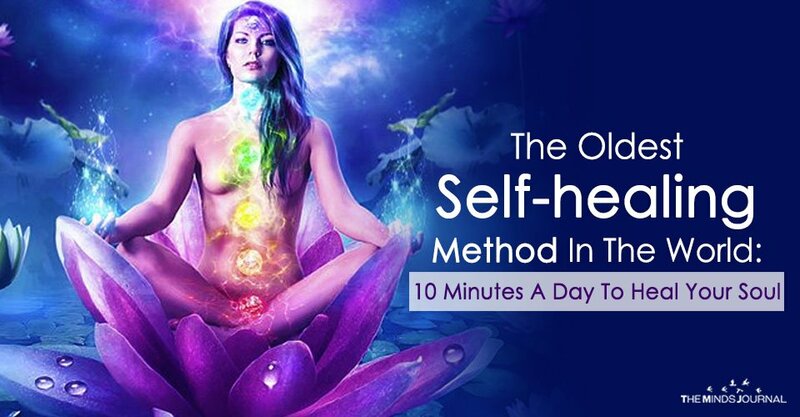 6 Ayurvedic Techniques of self Healing that will not take more than 10 minutes of your day. Practicing them continually will definitely give you a better physical, mental and spiritual health. Do not randomly cheat on your schedule, as it will prevent your body from achieving the optimum reward of these methods. It gives you a very holistic healing including your body, your mind, and even your spiritual self. As the ancient sages have always preached, the union of all the senses and force-fields of the body is very important for the achievement of peace. While a lot of people dismiss the Ayurvedic techniques as mere mythological fads, they are, in fact, much more than that. They are greater than the people who choose not to believe in the purest form of healing that exists in the phase of the Earth. I mean, medicines definitely heal you. Nobody wants the doctors to burn their degrees and start meditating. But like different genres of books, medicine too has different genres. You don’t know what works for you until you have given it a chance. So, make an educated choice, and try this routine. It will work wonders on you. The components that I would like to highlight beforehand are Nutritious well-being, self-care, some form of exercise, and a calming procedure. All of this is crucial to imbibe before you embark on this journey of spiritual cleansing. Trust me, it feels like spring cleaning the demons out of your mind. You probably did not even know that they existed in the folds of your brain. But during this exercise, you will not only discover your constraints but also conquer them. You will learn about your stress point, you will realize all the things you have been routinely messing up, and in the process, it will teach you how to lead a lifestyle that is genuinely beneficial for you. After you have finished with brushing your teeth, extricate the remaining germs from the surface of your tongue with either the bristles of your toothbrush or the scales at the back of it. There are brushes that come specially manufactured for this job. The organs in the body simultaneously create life-giving and toxic substances. The deposits find their way to your tongue’s surface. If you do not dig in and clean them out, then it will mess with the spiritual passage in your body and with time start blocking the flow of energy in the body. After brushing rinse your mouth thoroughly with a tablespoon of Sesame oil for 2 minutes. After spitting this out, rinse again with some lukewarm water. The properties of the oil help in preventing the decaying of teeth, and the formation of cavities. Sesame oil is said to be rich in linoleic acid and acts against fungi, bacteria and viruses. This step will definitely save you a trip to your doctor.